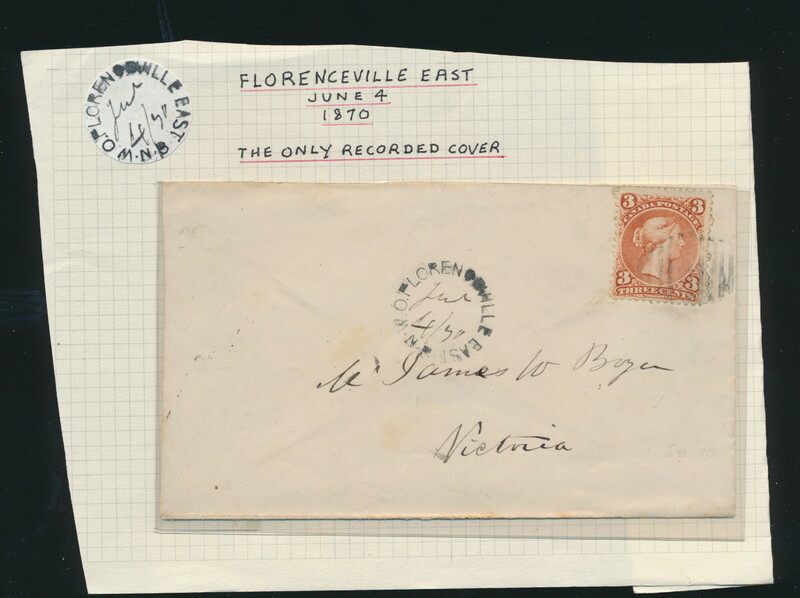 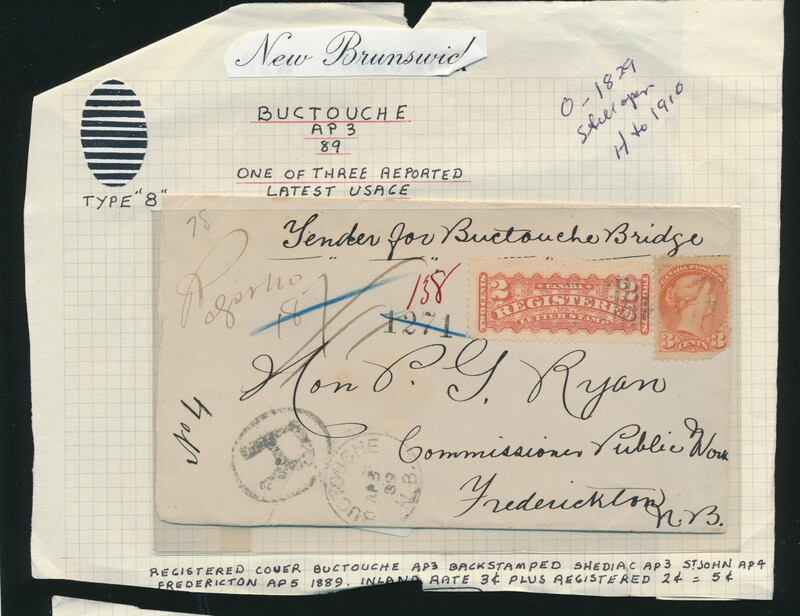 Lot 1283 Collection of New Brunswick Town Postmarks 1840s to 1930s, on over 600 covers and cards. 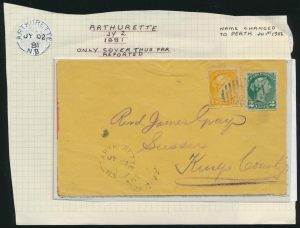 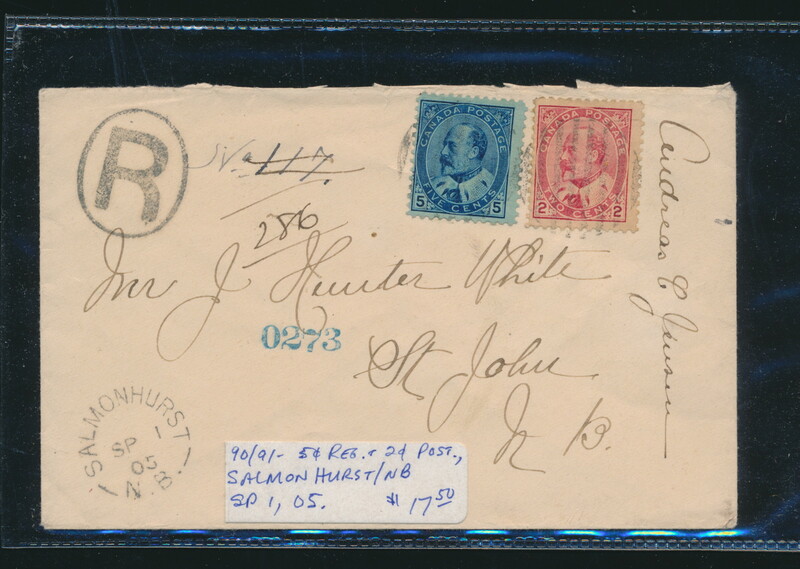 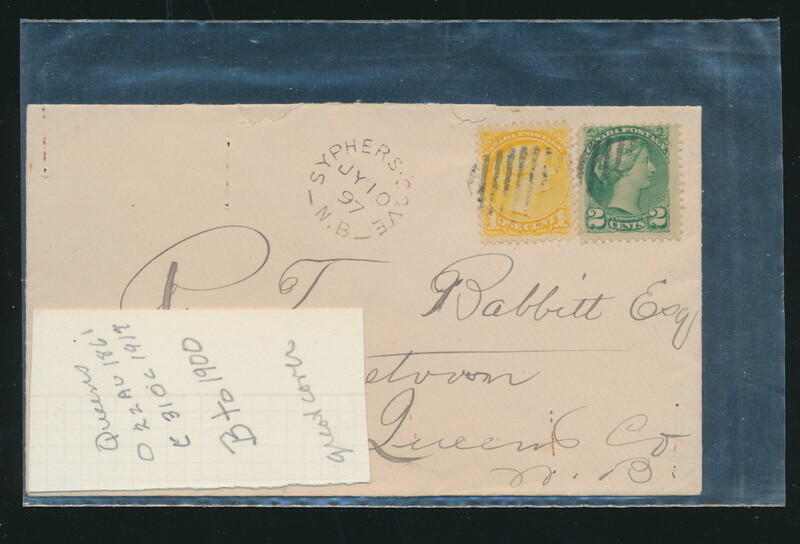 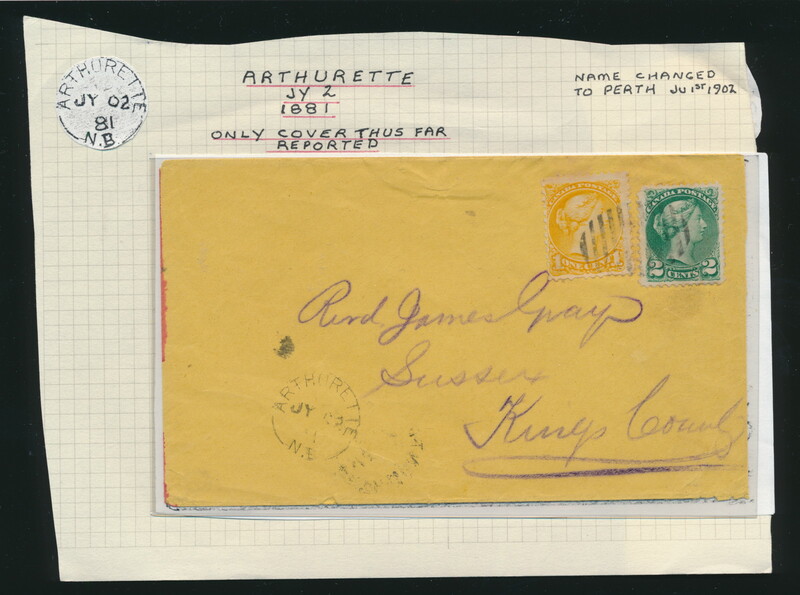 The collection is sorted alphabetically by post office, and includes a large amount of small office postmarks, early and late dates, many “only known on cover” or one of 2 or 3 known, many Small and Large Queen covers, as well as many covers franked with New Brunswick stamps, stampless, better postmarks such as a lovely 1906 Indiantown squared circle, many registered covers, a good variety of postmarks such as duplex, datestamps of all sorts, fancy corks, etc. 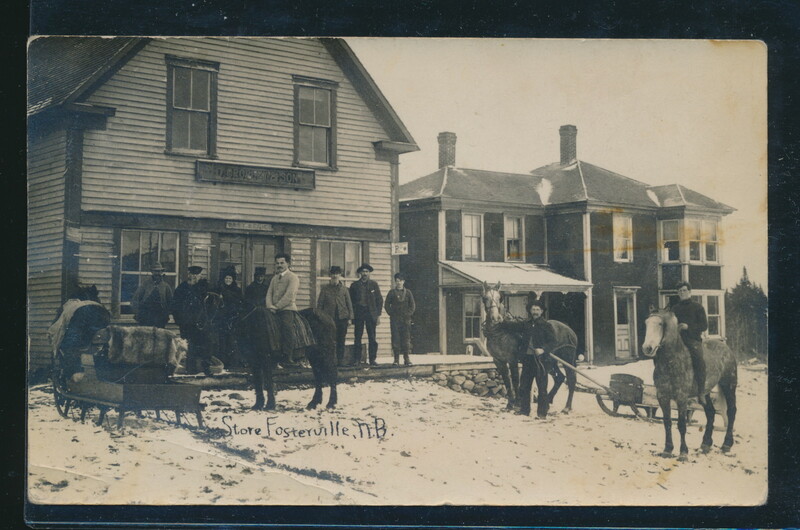 Also includes picture postcards (including real photos) depicting town scenes, sometimes showing the post office there. 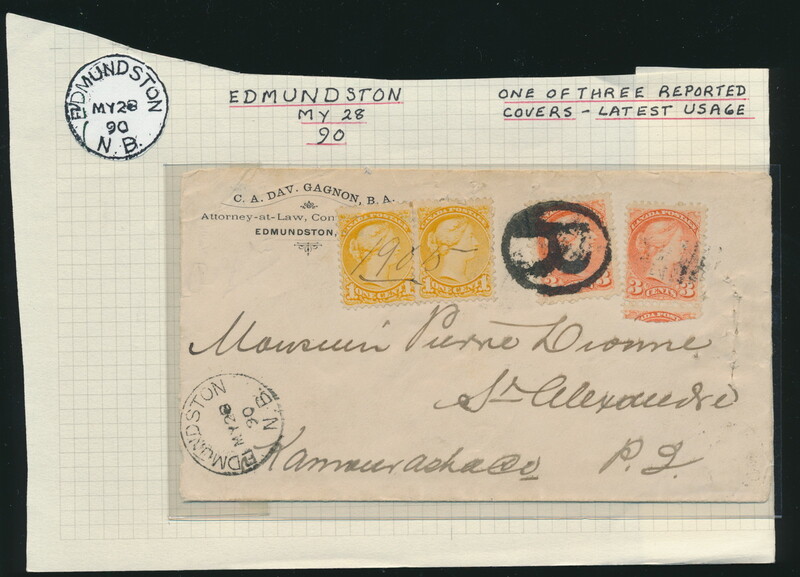 All but one cover are small size and there are faults as the collection caters to postmarks, still generally fine condition. 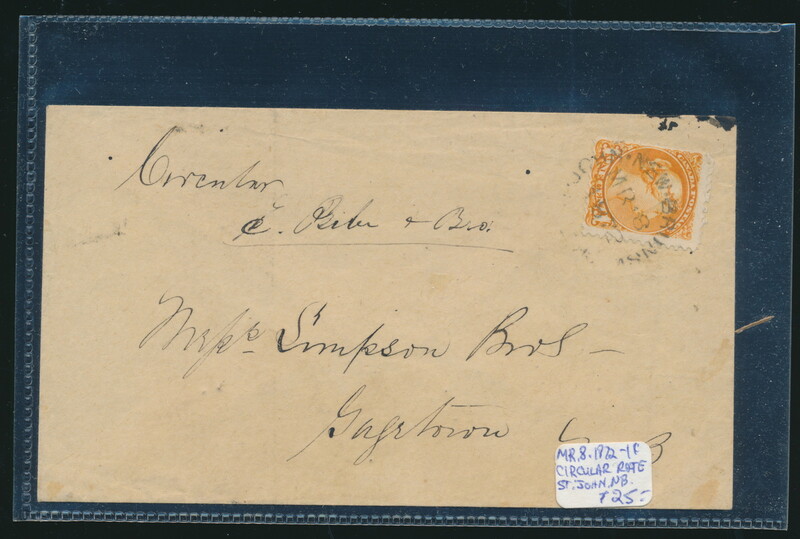 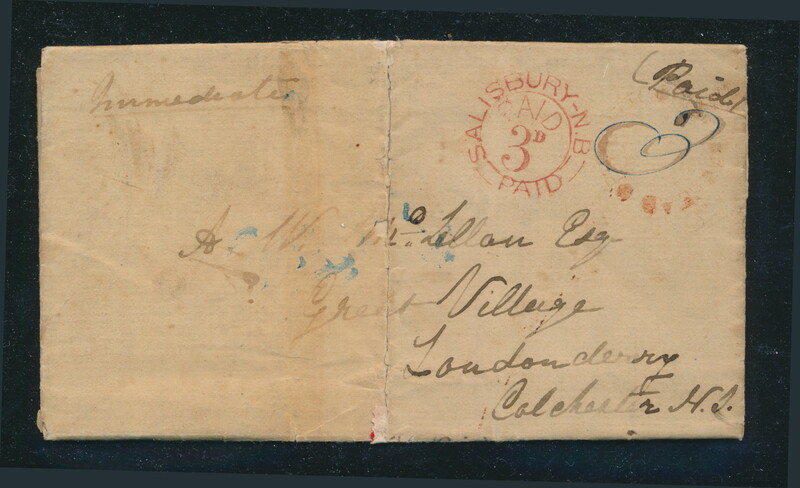 Too many scarce to rare post offices and postmarks to list here, viewing is highly recommended to better appreciate to wealth included, a rare opportunity to acquire some important New Brunswick postal history. 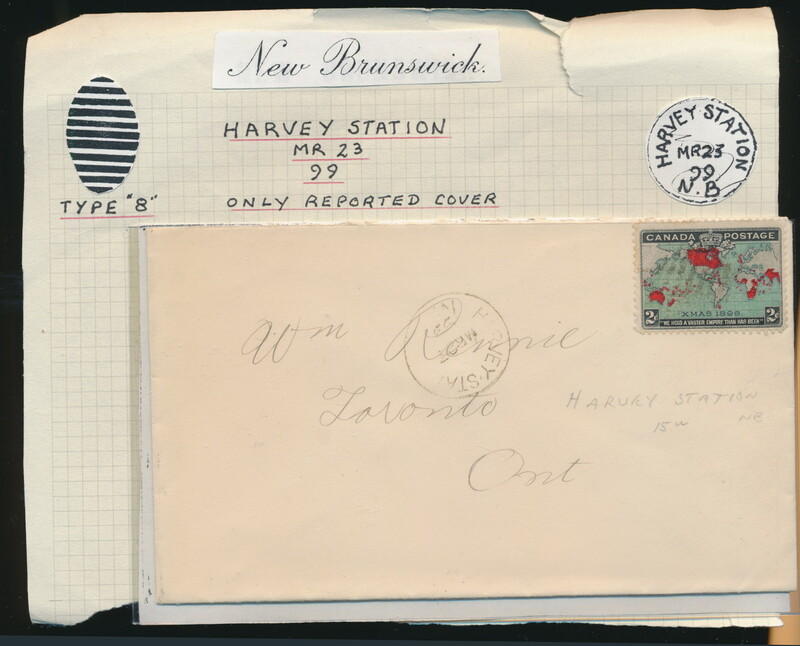 This lot includes The Post Offices of New Brunswick 1783-1930 reference by George MacManus. 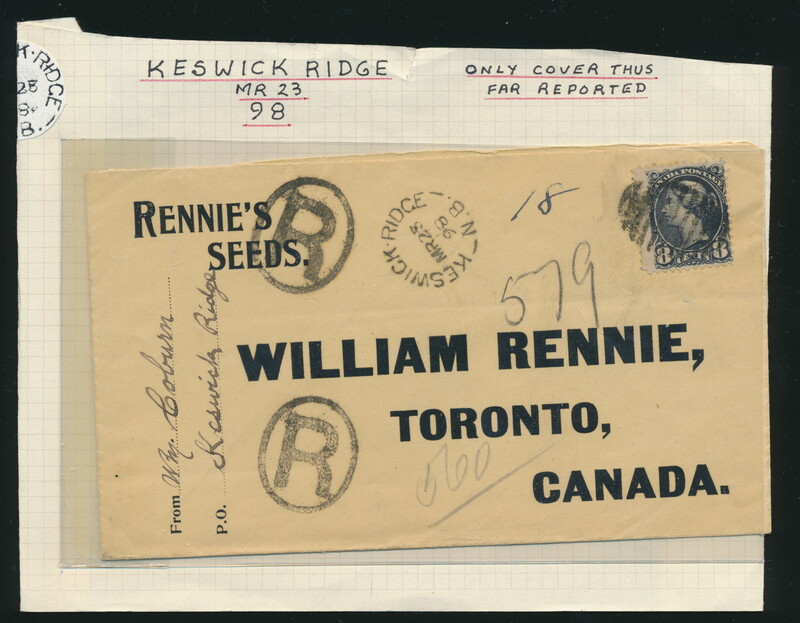 We have scanned only a small portion online. 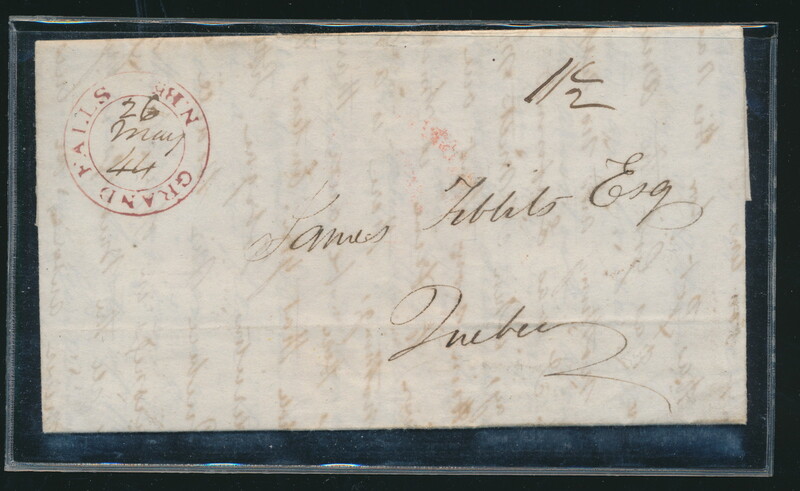 Ex. 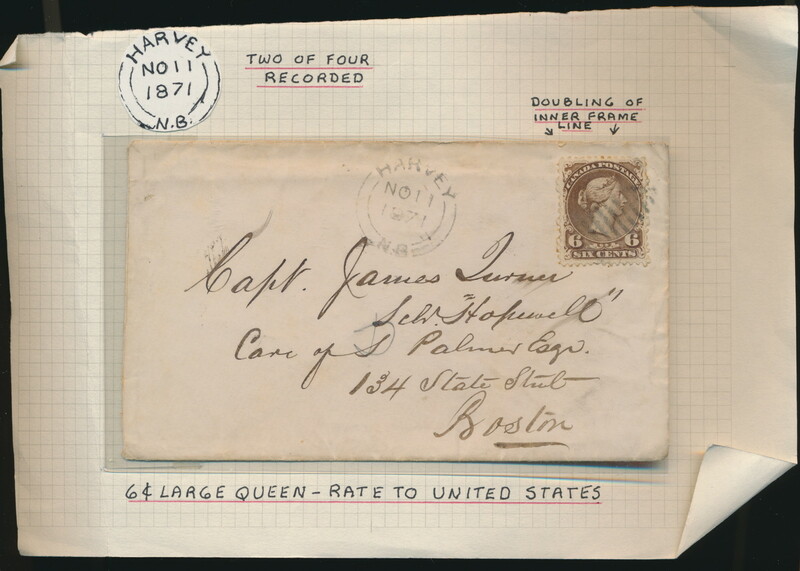 George MacManus. 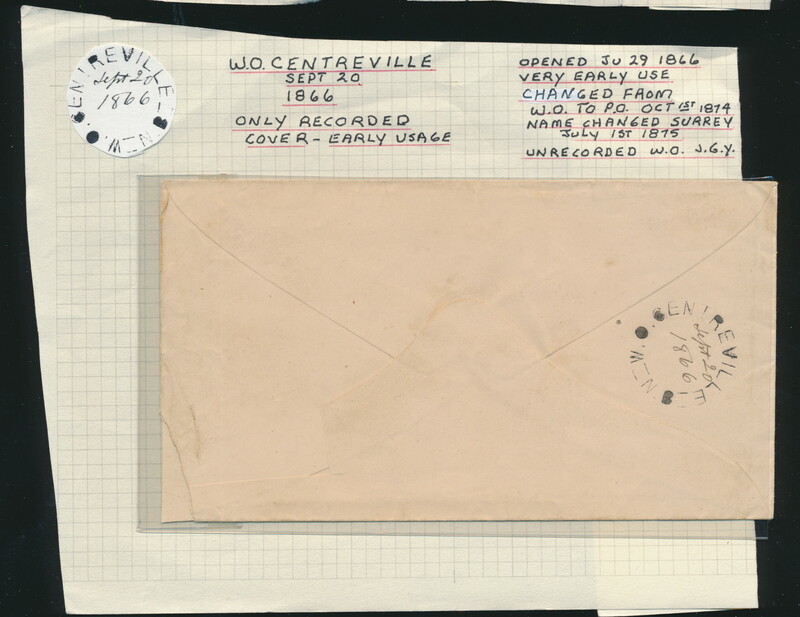 (Scan a) (Scan b) (Scan c) (Scan d) (Scan e) (Scan f) (Scan g) (Scan h) (Scan i) (Scan j) (Scan k) (Scan l) (Scan m) (Scan n) (Scan o). 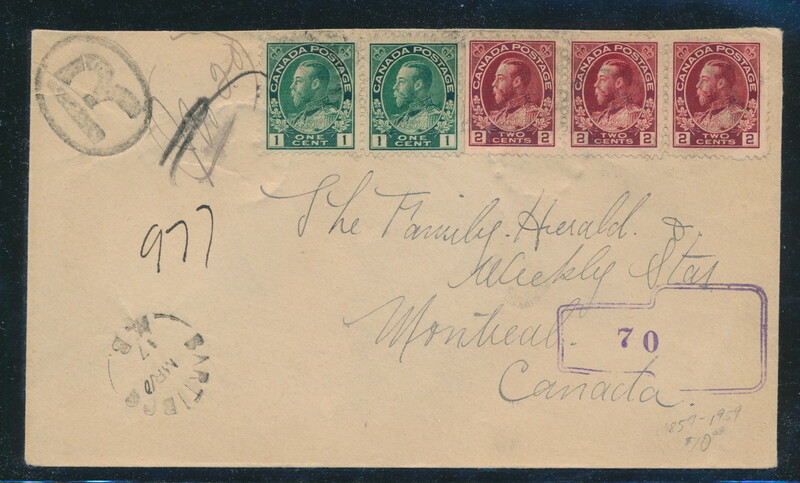 Estimate $2,000, sold for C$3,000 plus 15% buyer’s premium.